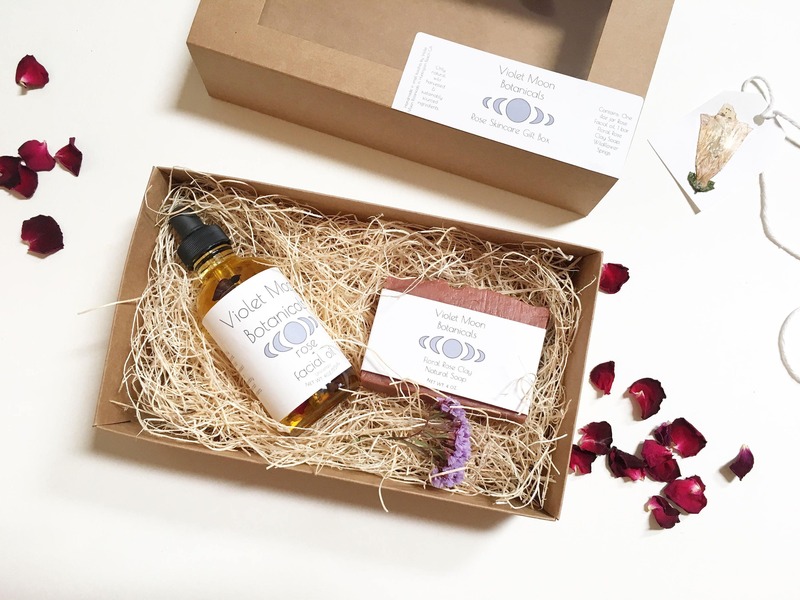 Give the gift of natural skincare with this box of rose infused soap, and rose facial oil. This box contains one bar of natural rose infused soap, and one large 4oz bottle of rose hip and petal infused facial oil. Rose facial oil doubles as a body, bath, or massage oil. Your choice of rose scented or unscented facial oil. For those with sensitive skin, I recommend choosing my unscented facial oil. Both items are all natural and vegan. This box comes beautifully wrapped in white thread and ready for gifting with a dried wildflower sprig, and a blank handmade pressed flower gift tag. *1 made to order glass bottle with dropper containing 4oz. of rose infused facial oil your choice of scented or unscented, that may also be used as a bath and body oil. *1 handmade, artisan, hand cut, small batch soap bar- rose garden scented. Each bar weighs approximately 4oz. Rose hips are one of the best moisturizers for dry skin, rose hip oil soaks into the skin easily, and does not leave a greasy residue. Solar infusing rose hips extracts the essential fatty acids they contain to condition and hydrate dry skin. Sunflower oil is know for its non-comedogenic nature so it won't clog pores. Sunflower oil is rich in oleic acids as well as vitamins A, D and E that deeply condition skin, and leave skin hydrated. The rose petals and buds that this oil contains are rich in antioxidants and vitamin C and give it a lightly aromatic scent, while adding even more hydrating properties. This product comes in your choice of unscented and lightly rose scented. A little goes a long way! 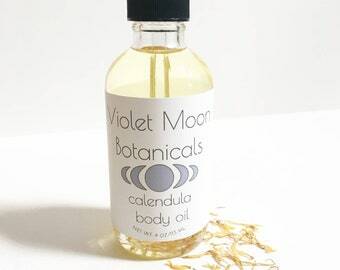 Use a few drops to moisturize face or body, or use a small amount as a bath oil. 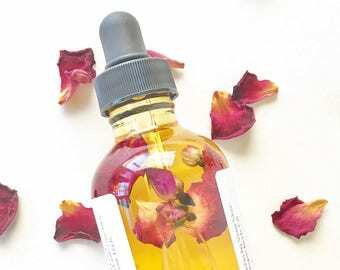 ROSE FACIAL OIL INGREDIENTS: sunflower oil solar infused with rose hips, rose hip oil, rose petals and buds, (If Scented: rose geranium essential oil, rose absolute(grape-seed oil, rose absolute)). SOAP INGREDIENTS: Rose petal infused olive oil, virgin coconut oil, distilled water, sodium hydroxide (lye), shea butter, castor oil, rose hip oil, rose geranium essential oil, jasmine essential oil, rose clay, rose petals. *For external use only. These products have not been evaluated by the FDA and are not intended to diagnose, treat, cure or prevent any disease. All products are preservative free and contain only natural products, always.